Access to affordable housing in Australia is a significant problem that disproportionately affects low income earners and disadvantaged people. In recent years the number of people in need of subsidised housing has continued to increase, while the supply of affordable and social housing has remained stagnant. Between 2008 and 2012 the proportion of low income households experiencing rental stress in Australia increased from 35% to 41%. Meanwhile, overcrowding has increased two fold, and the housing wait list has stubbornly lingered at more than 200,000 applicants. See Figure 1. 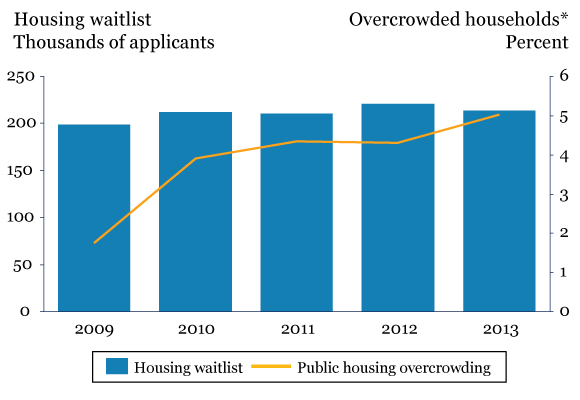 Figure 1: Housing waitlist and overcrowding. * Note: this includes public housing only. The housing problem has persisted over the last decade in spite of a marked change in government policy to address the issue. In response to a number of policy mechanisms, CHPs (non-profit organisations whose core business has been managing public housing) have started to develop affordable and social housing. The mechanisms allowing this have included: the Nation Building Economic Stimulus Plan’s Social Housing Initiative; the NRAS, large scale ‘property transfers’ and regulatory arrangements such as Commonwealth Rental Assistance (CRA). …the impact of these policy mechanisms on the number of available dwellings has been negligible. The policy shift was driven by a broader government agenda to step-back from service delivery. However, it was also based upon the belief that CHPs could access private finance by leveraging their larger balance sheets (as a result of property transfers), as well as draw upon their expertise and local knowledge as property managers to drive better social and financial outcomes. Notably, the impact of these policy mechanisms on the number of available dwellings has been negligible. However the market share of dwellings held by CHPs has increased 10 percentage points. See Figure 2. In seeking to alleviate the housing problem, CHPs have opportunistically identified and pursued projects to construct their own properties to provide as affordable and social housing. 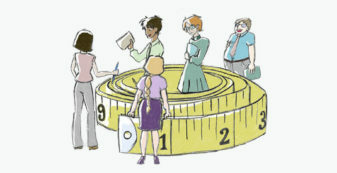 As a result CHPs have become larger and more complex organisations. …is it economically realistic for CHPs to become developers of affordable and social housing? This year the Government discontinued the NRAS which, by topping up the rent received by owners of affordable housing, had arguably been the most significant policy supporting for-purpose developers. With the abolition of NRAS and a wider policy vacuum to address the housing issue, is it economically realistic for CHPs to become developers of affordable and social housing? Do the economics stack up for CHPs? SVA Consulting recently sought to answer this question. With input from experts such as Macquarie Capital, we developed a financial model to assess and understand the key drivers of different development scenarios. As expected, developing property for sale to the private market can be profitable for commercial operators. A commercial developer can feasibly earn a gross return of 20% developing a property which is sold immediately post-construction. This is an attractive return for any investor and a profitable business model for these developers. In contrast, the returns to investors who purchase properties to rent to the private market are less impressive. Between 1995 and 2004, average rental yields in Australian capital cities collapsed as surging property values significantly outpaced the growth of rents. Since this time, gross average rental yields have remained around 4%. With net rental yields continuing to sit below bank interest rates, it is highly unlikely that commercial developers would invest in developing property to hold on the rental market as they would effectively incur losses each year. CHPs must subsidise private market rents by at least 20%, which reduces the potential IRR of a development to approximately 6%. Nonetheless, private investors, with long-term investment horizons and tax incentives (namely negative gearing), have continued to invest in rental properties. Specifically, private investors have been willing to accept lower rental yields as they expect to benefit from the gain – being taxed at a lower rate than their income – when they sell. This has helped to support an average annual capital growth which has outpaced rental returns over the past 10 years. Based on these capital growth rates, a private investor who develops and then manages a property for lease could realise a pre-tax internal rate of return (IRR) of 8-9% upon sale after a 20 year investment period. Ostensibly, this would appear to be a viable business proposition. However, this does not hold for CHPs who are developing affordable and social housing for the low end of the market. To provide affordable housing, CHPs must subsidise private market rents by at least 20%, which reduces the potential IRR of a development to approximately 6%. The experience of CHPs to date suggests that with some support, it is possible to structure affordable housing developments so that they generate viable returns; the returns for affordable housing are not substantially below those for properties rented at a market rate. Critically, property development will only be viable for CHPs if capital gains are realised upon the sale of the property. Rental yields alone are not sufficient to recoup the investment cost (over a 20 year operating life). …considering ways to structure developments to include an allocation of properties that can be sold into the private market at the outset. For example, understanding this, SGCH (formerly known as St George Community Housing), one of Australia’s largest CHPs, has adopted an active portfolio management approach, whereby decisions about service delivery and asset holdings are informed by the careful assessment of the portfolio’s condition and maintenance requirements. Some CHPs have also begun considering ways to structure developments to include an allocation of properties that can be sold into the private market at the outset. 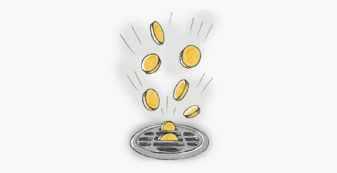 Doing so enables them to recoup a proportion of their capital costs, and reduces the amount of financing they require. 1. Broker state and local government support – There are still opportunities for CHPs to work with both state and local governments to develop affordable housing. The most common forms of support are capital contributions through direct grants or access to low cost land. As highlighted by the McKinsey Global Institute’s latest report, Tackling the world’s affordable housing challenge, land cost can exceed 40% of the total property price, often making it the largest lever in improving a development’s economics. State or local governments can facilitate the provision of ‘free land’ either through title transfers on existing properties managed by CHPs or the zoning and transfer of new land for affordable housing. SVA’s modelling indicated that by leveraging ‘free land’, a CHP could increase the IRR on an affordable housing development to over 8%. Importantly, CHPs who successfully brokered partnerships with government often found that to align priorities and identify potential opportunities required a substantial commitment on their part. Fortunately, innovative financing options are beginning to emerge. 2. Innovative financing – In addition to capital subsidies, some CHPs have also negotiated more flexible financing arrangements compared to the commercial banks. 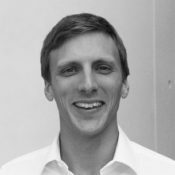 Greater flexibility around lending capacity and security arrangements can enable a CHP to pursue projects which would otherwise be unviable under commercial terms. However, while retail banks are gradually becoming more comfortable with lending to CHPs who have strengthened their financial and risk management expertise, many CHPs still find it difficult to access adequate financing. Fortunately, innovative financing options are beginning to emerge. For example, SVA through its Social Impact Fund (with a mandate to provide loans and equity investments to enterprises with a social purpose) is exploring a debt financing arrangement with a Western Sydney not-for-profit developer to build much-needed social and affordable housing. The deal, to be done in partnership with another impact investing organisation, will be a mixture of debt and equity financing. Some of the dwellings will be sold to the private market to enable the remaining dwellings to be managed by a CHP and assist people needing social/affordable housing in Western Sydney. This non-government transaction is a pilot, however all parties involved believe it has the potential to scale and reduce the social housing waitlist within NSW. 3. Partner with commercial developers – There is also scope for CHPs to partner with commercial developers to co-fund and develop mixed dwelling developments. In addition to contributing to the capital cost, harnessing the expertise of commercial developers can reduce the risk profile of a development. For commercial developers who may be mandated to include an allocation of affordable dwellings in large development proposals, working with a CHP can be effective in meeting these requirements and ensuring the affordable dewellings are well managed over the long-term. A partnership between Investec and not-for-profit housing provider Community Housing Limited (CHL) has applied an innovative rent-then-buy model to deliver affordable housing for key workers such as nurses and teachers. The development in the Adelaide suburb of Bowden will consist of approximately 80 apartments, 32 of which will be designated as affordable housing. As part of the arrangement Investec will purchase and develop the site, while CHL will provide the ongoing management. Tenants of the rent-then-buy properties will pay rent at 75% of the market rate, allowing them to save for a deposit, before becoming eligible for the option to buy after three years. Investec Australia’s head of power and infrastructure finance, Peter Mansfield said that “By reducing risk, we can reduce the returns required for these projects to be viable, ultimately resulting in more affordable housing for the community”. Critically, to assure the viability of any development CHPs must identify and assess the specific mechanisms available to them at the start of the planning process. Alongside managing razor thin margins, acting as a property developer exposes CHPs to a range of market-related risks. As relatively small players, these risks can be difficult to mitigate. By virtue of their size, commercial operators can limit many of the market risks they face. For instance they have the leverage needed to set and negotiate contract terms, reducing their exposure to construction related risks. Also a large and diverse portfolio of projects and a healthy balance sheet provides a commercial developer with some flexibility to weather market downturns. Moreover, by selling their developments immediately after construction they also limit the risks which they are subjected to. CHPs have a relatively limited capacity to shield themselves from market risks. 1. Construction cost overruns – As developers of typically discrete medium-density projects (up to 100 units), CHPs have limited buying power when negotiating with contractors. This can expose them to the cost of construction delays and other unexpected increases in the build cost. This can be substantial; a construction cost increase of 20% can reduce a project’s IRR by more than 2 percentage points. 2. Tenant vacancy – In its role as property owner and operator, a CHP bears all the risk associated with ensuring that its properties are tenanted, and rent is paid. While this is a risk that, as property managers, CHPs are already familiar with, the stakes are higher when they own the property. A period of high vacancy or a poor rate of collecting rent will further deteriorate the net rental yield on a property. If prolonged, this will erode the overall return on the development, potentially resulting in a loss. 3. Reduced market rents – Similarly, CHPs face the risk of being unable to set rents at a level which will ensure they break even. 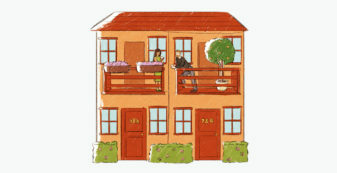 The rents of affordable and social housing are linked to the tenants’ capacity to pay. An increase in the cost of living relative to the tenants’ earning capacity may require the rents to be reduced. This could conflict with the CHP’s need for financial viability. If a CHP needs to increase its effective rental subsidy by 10% so that the properties remain affordable, the project’s IRR would decrease by 0.5 percentage points. 4. 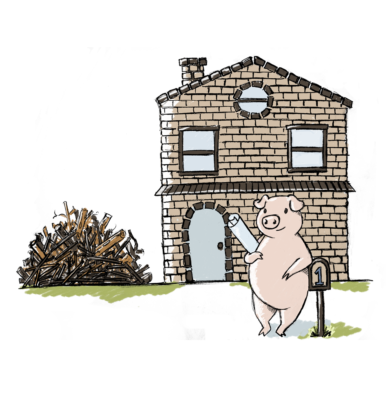 Sale price – As a developer and operator of affordable housing, a CHP will only achieve the return on their initial investment when they sell the property. As such, a slowing of the housing market, or an inability to realise a fair market value for the property poses a significant risk to the returns of a project. For example, a 2% reduction in the average annual capital growth rate would pull down the IRR on an affordable housing development to below 5%. This risk is arguably significant for CHPs who due to their limited size may find themselves hamstrung by prevailing market conditions. Given the persistence and significance of the housing crisis, many CHPs are considering playing a direct role in increasing the stock of affordable and social housing. Before embracing this new ‘business’, CHPs must perform the requisite internal due diligence to assess the potential impact on the organisation’s financial health and its ability to manage the innate risks involved. Any would-be developer needs to have a clear understanding of the magnitude of the risks it faces, and its willingness and capacity to absorb losses if a project does not eventuate as planned. Importantly, a CHP should know the answers to these questions before scoping or assessing opportunities. Essentially, a CHP must establish if and how developing affordable or social housing aligns with its mission and fits within its organisational strategy. Opportunistically pursuing discrete development projects may work where a long-term subsidy such as NRAS is available, but it is not a sound strategy upon which to build a sustainable business model. Some CHPs may find more effective ways to pursue their mission than developing the housing themselves. CHPs should seek out internal and external expertise to assess how developing property will affect and/or restrict the organisation. This process needs to involve conversations with, amongst others, the finance team, property portfolio managers, the board and funders. Some CHPs may find more effective ways to pursue their mission than developing the housing themselves. For instance, the NSW-based CHP Compass focuses on property management services and partners with specialised affordable housing developers to grow its portfolio. There is actually a viable business in developing affordable housing for an investor who is willing to wait 20 years to realise their return, as some larger non-profits are. But the risks are significant, and need to be considered and managed upfront if this is going to be part of what is, by definition, a 20 year strategy. All the figures except when otherwise referenced are from SVA Consulting’s modelling. Over the last decade, Community Housing Providers have started to develop affordable housing, however the loss of the NRAS means that they must reconsider the viability of this role. There are a number of levers which can improve the returns of a CHPs development project, but these must be identified and assessed at the start of the planning process. Acting as a property developer exposes CHPs to a range of market-related risks which can be difficult to mitigate. 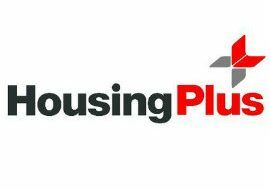 Housing Plus engaged SVA Consulting to develop an outcomes management framework to help it understand its impact, how to improve it, and to support its sustainability as an organisation.